Century was founded in 1966 in Biel Switzerland and is a family run atelier. The founder, Hans U Klingenberg, developed an invention based on the principle of creating a vacuum to ensure a totally water, air and dust-tight seal. This exclusive system lies at the heart of many of the company’s designs and has been the object of numerous patents registered by Century. In 1977, after many years of intensive research and development, Hans U. Klingenberg found the solution that allowed him to fulfil his vision. He invented two unique construction systems, “Megalith” and “Monolith”, for producing scratch-proof sapphire cases, and combined these with the exclusive sealing system he had developed several years earlier. “Megalith” and “Monolith” are two processes which enable watches to be hewn either from two pieces of sapphire, fused to be inseparable, or from a single sapphire block. These two constructions systems were patented worldwide and are used to this day in Century’s workshops. Century remains independent and today the brand is run by Philip Klingenberg, son of Hans. 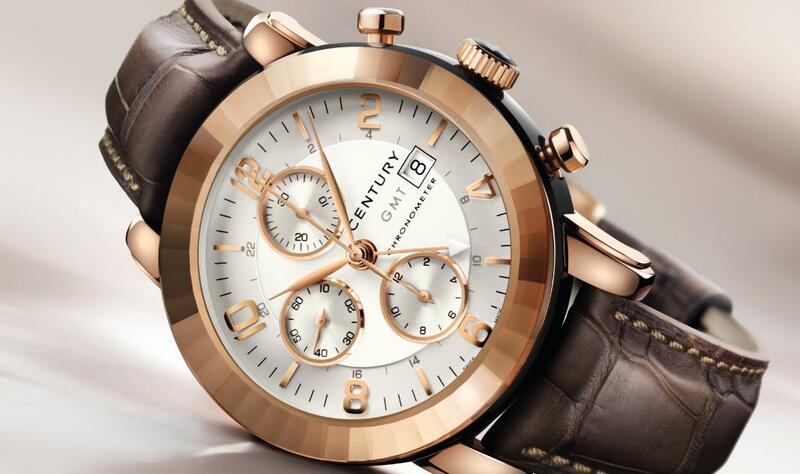 One of their most recent releases is the Elegance Chronograph GMT with an imposing 44 mm case in red gold. 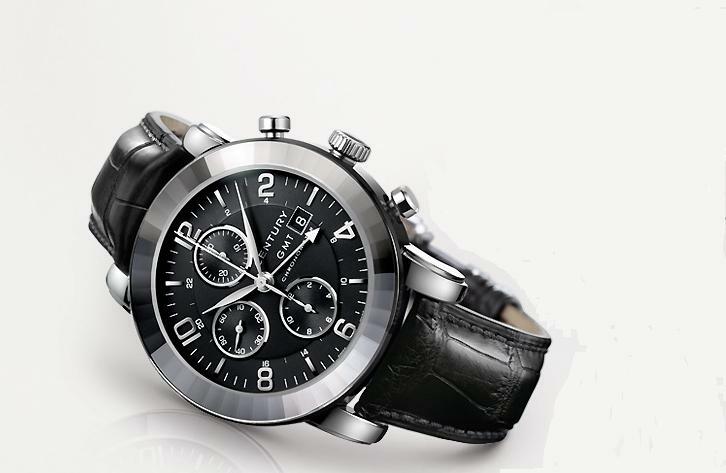 The COSC-certified GMT chronograph means life can be used simultaneously across two time zones. A dandy, an explorer, he travels the globe every day with his distinguished good looks, natural virility and authentic pleasure as guides. Anytime, anywhere. 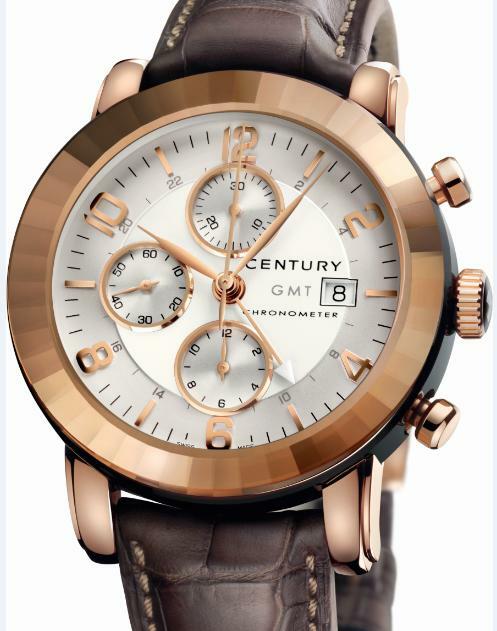 For the man of today, Century offers the Elegance Chronograph GMT, a truly exceptional watch in the Esquire collection for men. The COSC-certified self-winding GMT chronograph has been carefully designed so that the proportions of the three counters are elegantly balanced. The hour-markers and raised inner dials complement the 48 facets of the Century sapphire, cut and polished by hand. The Elegance Chronograph GMT comes in two colour versions: white and chocolate and comes on an alligator strap with deployment clasp. Main model in 18 ct. red gold. Century sapphire with 48 facets cut and polished by hand. Available with a white or chocolate dial. Self-winding mechanical movement; COSC-certified chronometer. Alligator leather strap with deployment clasp.